How can I use Kello with Spotify Connect? 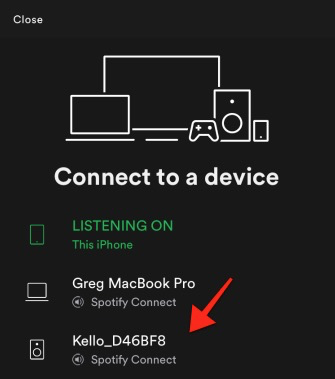 Spotify Connect allows you to play your Spotify music collection on Kello by streaming it through high quality Wi-Fi. It has a better quality than Bluetooth, is less prone to drop outs, is more gentle on your battery life, and can be used without having to have your phone on. a device with a Spotify app (your phone or computer), connected to the same Wi-Fi as your Kello. 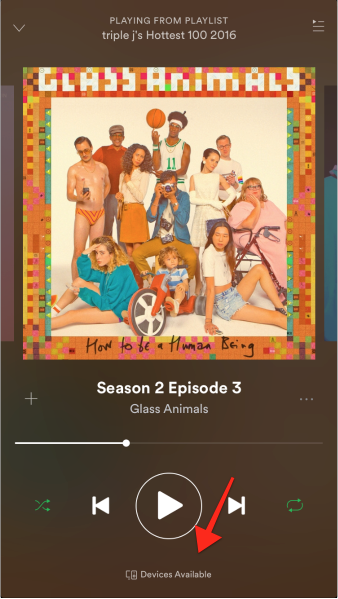 Play a song you like, and on the Now Playing screen, press "Devices Available". Now your Kello is playing your music. You can even turn off your phone, Kello is directly connected to Spotify.